In any industrial facility, machine guards are essentially important to protect and maintain the safety of the laborers. Some of the factors that might be present when these equipment are not used include serious injuries such as dislocation of fingers and toes, injuries inflicted to sensory organs such as the visual organs, or in worse case scenarios, arms and hands crushed because of the rigorous work in these facilities. These kinds of equipment are present to make sure that the body of the worker will be protected from the moving entities in the job site. 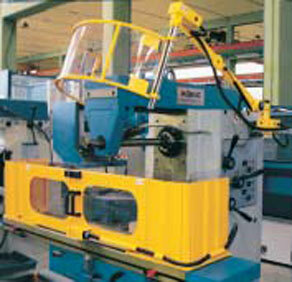 The machine has parts namely, the power transmission apparatus, the point of operation and the control panel. The power transmission apparatus has the pulleys, belts, flywheels and other moving entities. Meanwhile, the point of operation includes the cutting tools, the formation tools and boring entities. The control panel constitutes the rotating, feeding and reciprocating mechanisms for these industries. Provisions set by the Occupational Safety and Health Administration or OSHA reveal that when machines are operated within the area, it is important for the operators within the facility to eliminate any possibilities for injury from these machines. Therefore, the administration has mandated that these machine parts and processes should be safeguarded along the way. It is appropriate for any company not to imitate other businesses and manufacturers of machines that distribute these devices without the protective apparatus regulated and required by OSHA. The absence of any tough laws about these procedures should not be taken for granted or abused. Employers and business owners have the responsibility to issue their compliance with these procedures. In this way, they can ensure that their employees are within their maximum safety and are safeguarded from any possible risk. The major function of these guards includes protecting machine operators and other workers from hazards created by the rotating components, sparks, flying debris and nip points that may go along with the process. These equipment are available for many types of machines including customized barriers for fencing, light curtains, two-hand operating equipment and plastic guards. These guards should also be used along with high-temperature wires and valves. For those accessing and operating the machines, the presence of these tools should always be taken with great regard. These people include the mechanics or the janitors staying within the area. The size of the machine is negligible in these instances because these tools can protect any kind. Whether the machines are small or huge, they can always have impacts upon the operators and others within the facility. Guards are made to be permanent and they should also be maintained in the right way. Some companies provide machine guards along with grinder shields, wipers, bellows, enclosures and mist collectors.